Wirelessly manage your Android Phone through your PC. Droid Transfer allows you to transfer your music, sync iTunes to Android, save and print your messages and much more. Use Droid Transfer to transfer music from your Android Phone to your Computer. Add music to your Android device from your PC with a single click of the mouse! Sync iTunes with your Android device. 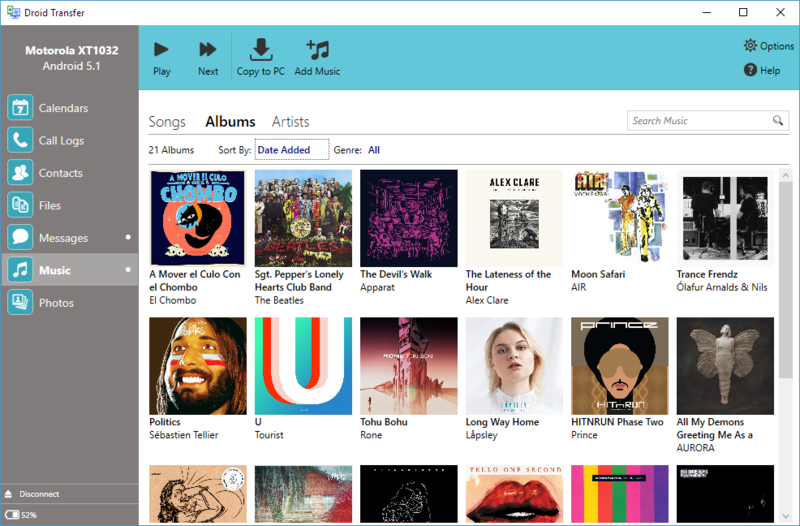 Perfect if you're moving from an iPhone to an Android Phone and want to retain your mobile music library! Our support pages provide further guidance on how to sync iTunes to your Android phone. 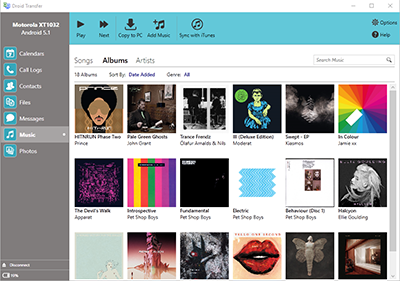 View and Play your music collection stored on your Android Phone and wirelessly stream it through your PC. Droid Transfer has a rich, modern user interface to let you browse and play the music content stored on your Android Device with ease. or over your local WiFi network! 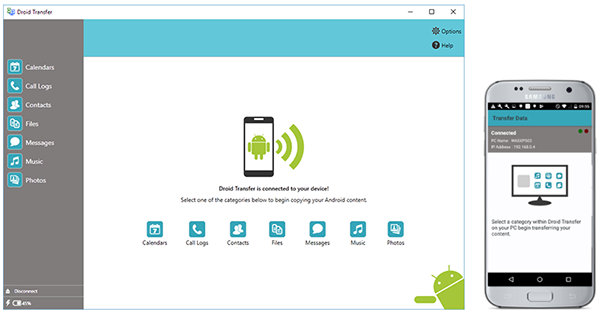 Droid Transfer works alongside a free Android Application, Transfer Companion, enabling you to manage and transfer content on your Android device via a USB cable or through your local WiFi network. Transfer Companion is a free App available for download from the Google Play App Store.